Home » О бизнесе » CONSUMER LAW, WHAT ARE YOUR BASIC RIGHTS? CONSUMER LAW, WHAT ARE YOUR BASIC RIGHTS? “Guaranteed satisfaction,” “Money-back guarantee,” and “Unlimited warranty,” these are some of a few phrases you might hear upon purchasing a product, but do you know your rights as a consumer? Read on as we discover more about your protected rights on purchasing products online, paying online, warranty, defective goods, and phishing. When purchasing products online on a Swiss website, you can only return the product and ask for it to be exchanged if it is permitted under the terms and conditions of the sale. If you are purchasing a product from a European website you have 14 days to return the product from the time it is purchased. These general guidelines may differ depending on the company or brand you are buying from. Online hackers are on the rise; they can steal your credit card data and full identity instantaneously. 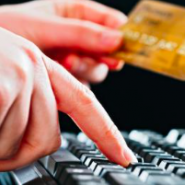 When you are making payments online it is wise to check if the website is secure. There are two methods you can follow to ensure the site is secure. The first is to check and see if there is a small padlock or key displayed at the bottom right-hand corner of the screen. You can also keep an eye on the URL by checking to see if the “http” in the address becomes “https,” this means that the data sent is encrypted. Of course, good security practice involves keeping your bank card information secure at all times and never sending your card details to anyone by email or post. A warranty protects you from concealed or dishonest business practices or salesmen. A manufacturer’s warranty usually guarantees the general condition of the product. It is an agreement to repair any defects at the manufacturers expense in a certain period of time. Most products have a two-year warranty, depending on the brand or manufacturer this period may be extended for a small fee. If you buy a used product with a valid warranty make sure you receive all the documents pertaining to the guarantee. If you bought a product and it turns out to be defective, you have two years to get it replaced or get a full refund. If the vendor offers to replace the product or repair it, it is generally advisable to agree to these terms. Just like using a bait to catch fish the word phishing connotes the ability to use a fake bait like an email or a website to obtain sensitive information from you including credit card details, address, and bank information. Most phishing scams use emails to accomplish that; they usually send an email to coax recipients to give their password, credit card numbers or bank account information. Even if you do not enter the data, some phishing scams are so tricky they can accomplish their aim by the simple action of opening their email. When you open such an email they use fraudulent spy software to obtain valuable information from your computer. They can even log keystrokes on your computer in order to steal your password and personal information. To protect yourself against phishing it is wise to purchase products from trusted and official websites. Do not open links or pop-ups to purchase products, and ensure that your computer is protected by anti-virus software. FERZ SA team of experienced lawyers can provide timely assistance on the main provisions of consumer law in Switzerland explaining your legal rights and addressing any consumer problems you might have.